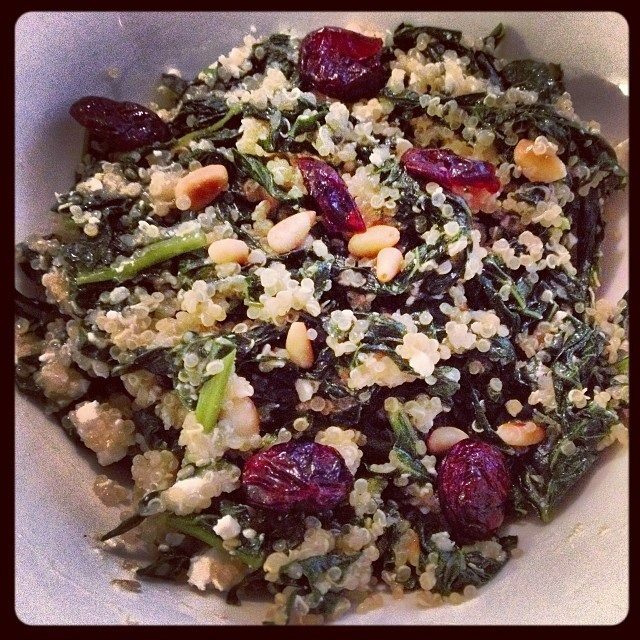 I came across this kale and quinoa salad recipe (on BuzzFeed of all places!) and thought it was too delicious not to share. With the fall and winter season comes heartier dishes, but I love how this meal can still be filling without making you want to crawl under your desk and nap for five hours. It’s quick and easy, and perfect way to honor the seasonal veggie. I recommend using fat free feta for the lightest cheese option, and definitely throw in those cranberries to add a little sweet note to the dish. The full recipe and directions can be found here on BuzzFeed Food.